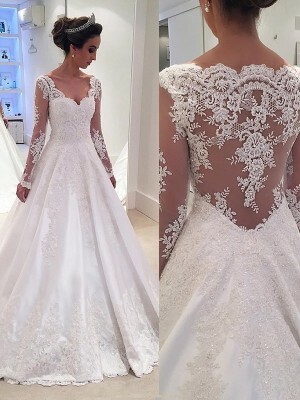 The dress is beautifully made and a stunner. The professional seamstress who did the alterations remarked how well the dress was made. It arrived earlier than promised which was another plus. Thanks so much. Let me just start this off by saying I am so happy I purchased from this website. My boyfriend told me last minute that we were going to attend prom. I had just about 2 weeks to find a dress that I'd feel comfortable and flattering in, and of course this dress is the one that caught my eye. 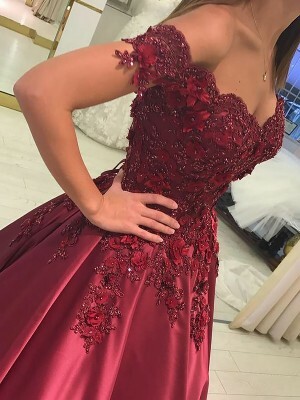 Now upon ordering this dress I worried about the shipping time because it was stated that it would arrive to my house much later then the night of my prom. So with this, I added a message in my order explaining my situation and how if there was any way to get this dress before the day of prom, I'd be ever so happy. Hebeos got me my dress days before prom, and for this.. I am so grateful! This dress was so beautiful and I got so many compliments. I received completely reassuring emails back from the seller, it was great communication! I am entirely pleased with my purchase, and I will totally continue shopping on Hebeos, and will recommend it to EVERYONE. Thanks a lot for this beautiful dress ! It fits perfectly, the seller was great and she was always happy to answer all my questions. thank you ! !